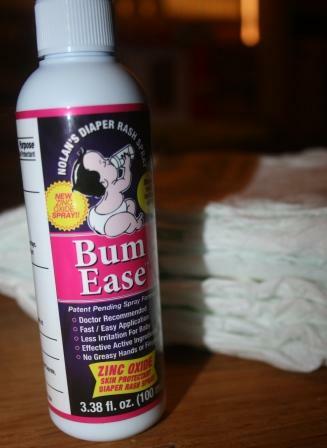 Two Bears Farm and the Three Cubs: Bum Ease Diaper Rash Spray Review and GIVEAWAY!! Sounds like a great product... and I give you credit for the cloth diaper regimen. There is no way I would do it, and that's really out of laziness, do I dare admit. I was very grateful for the disposible diaper availability, but when I think of what they do to the environment, well, I hate to think of it. If I win, I want to give this to Meredith. Enter me please! Even though I never win you giveaways :) Grady would probably think its funny if I sprayed his bum with something too! This is something I would use. I like that it sprays on. My little guy gets so mad when I have to put regular cream on. This is interesting, but the name is so funny! I have not seen it in stores yet. Since the girls are now five, I won't be entering this giveaway, but how exciting that a mom will win it, I love giveaways!!! Though I don't have any little ones at home at this point, it does sound like an excellent quality product for little bums! A spray rash ointment... what a brilliant idea! I'd love this!! I don't need this as my baby is a grown boy now, but I think it's great that it comes as a spray. Lisa, I have an award for you on my blog, and there's a giveaway you can enter for a chance to win too. It's great for moms and families. :-) Have a great day. Great job Lisa! Whatever needs to be done! Thanks for the tip on a good product. My little Reece was suffering with a sore bottom while visiting here last weekend. I can't wait to tell my DIL about this! I would love to win....with a newborn I could use it. awesome product! i could definately use this with for son! This stuff sounds cool. 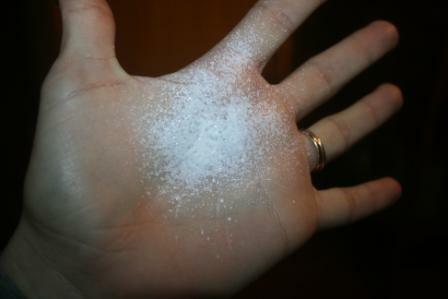 We used to get a compounded paste when we lived in Nashville. It was called Happy Hiney and it was the greatest stuff on earth! Heard about this on the Dave Ramsey show. My new granddaughter, who arrives in December, will appreciate this product. No Kerr drug store to visit inTexas.